Thank you for following along this year. Thank you for reading my posts, for sharing them, for writing to me about your stories and how my words impact you. I love writing, but for me this is really about creating a community of like-minded women who want to grow and become their best selves despite what life dishes out. I am so inspired by women who choose to live big, beautiful lives even though things have not panned out the way they hoped. In truth, we can all relate to this sentiment. It’s exciting when we are able to embrace this life, all its parts, and say to the world – I’m going to make something beautiful of it. I love getting ready for a new year. It’s a blank canvas ready to be painted. Your canvas is yours and only yours, so paint away. Make it magnificent, bold, loud, whimsical, employ your greatest talents, and stretch yourself to gain new ones. Make it a full expression of you and only you. 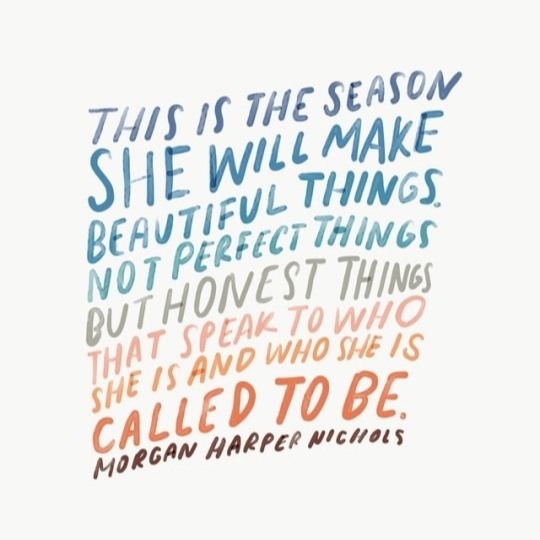 Claim it, love it, and commit to making this your best year yet. When I think about a new year, it’s easy to be influenced by the goals everyone else has – lose weight, take this class, declutter that space, go here, not there. You know what I’m talking about. Today, I’m challenging you to really think for yourself and more importantly listen to yourself. What is calling to you? What do you know is your work to do this year? Before I share four thoughts on goal setting for 2019, I want to write to you whose heart is grieving. Ethan died in 2012. I dreaded the calendar turning to 2013. It would be a year I’d live in without him. It felt daunting and repulsing. When our hearts ache because life has dealt us a magnificent blow, the future feels heavy. Can I let you in on a secret? While I love goal setting and the possibility of a new year, the future with my son Bodey feels unknown and scary. I miss Ethan. I always will. I often feel I have one foot here in this reality and one in heaven, where this will all make sense. I feel like I’m walking on a balance beam that is simultaneously moving, trying to knock me off. I’m not sure I’m up for what is to come. But here’s the thing, I’m here, you are here. So that means our work is not done yet. I’m now at a place where I’m curious about what life has me here to do. I’m okay with the unknown while I simultaneously make plans and set goals. There are days when I feel the weight of it all, but I am 100% clear that I’m here for a purpose, so I want to keep discovering what that is during this lifetime. If grief is your everpresent companion this season, I see you. I’m also going to challenge you. You were not created to sit in a corner and wither away. The excruciating pain makes it easy to wish for withering away. But that is not who you are or what you are created for. So today, I want you to set three simple goals. One for the body, one for the mind, and one for the spirit. If you just focus on those three and in the process be gentle with yourself, you will make steps forward. The only way is through. So, keep walking through. You will get to the other side. 1. Choose a word: Each year I choose a word or series of words for the new year. I post them in my office. For 2018 my word was intention. I wanted to do things with more intention. Less autopilot, more active choice. I also wanted to be conscious of the “why” behind what I chose to do. When a year ends, I do not ‘loose’ the previous year’s word. I take it with me. So in 2019, I will continue to focus on being intentional in my work and life while adding my new word (which I’m still deciding on). One tip: I write that word in my planner at the top of each week to keep my focus. 2. Goals + tactics: We often overestimate what we can accomplish in one year (I’m the queen of this), and underestimate what we can accomplish in three years. This week I’m not only thinking about what I can accomplish in 2019 but what I can accomplish by 2022. When I write a goal, I’m also thinking about the tactics and tools I need to employ to make them happen. These tactics matter, so don’t skip over them! So think about this year, but also about three years from now. Some goals have a longer horizon. Be realistic and then create a plan to get where you want to be. 3. Speak kindly: Instead of saying “I want to lose 20 pounds”, make your goal “I want to be a physically healthier person”. The first feels negative, the second feels positive. If you want to be healthier, then you need to employ tactics to make that happen. Of course, that will include exercise, diet, and habits that will help shed that 20 pounds. 4. Cultivate spiritual practice: Pray and meditate. Ready books about those whose faith you admire, on ideas about God you want to explore. I don’t think we can create the life we want or experience healing on a deep level without a spiritual compass. Please cultivate your inner self, your soul, the place in you that is connected to God, to Spirit, to your soul. You need a source of living water, of nourishment in order to face this life. If you do nothing else I suggested, do this. Cultivate the person you are on the inside. If you’d like to dive deeper into goal setting, here are some people and sites I follow and learn from. Headspace - a great source for learning to meditate and cultivating quiet. Tony Robbins - he’s a powerhouse business and personal growth guru. Erik and I love to listen to his podcasts in the car together. He’s intense, direct and very insightful. Rachel Hollis - many of you may know her from her book. Girl Wash Your Face. She’s touching a nerve focusing on goal setting and personal growth for women. I just bought High Performance Habits, by Brendon Burchard. In this book, Brendan looks at six habits that create extraordinary results. Happy New Year to you! I send you love and blessings as you approach 2019. Let’s make it a great year! Sunday Love (on Monday:-) to you.